This is what $100 million dollars looks like. Do I have your attention? 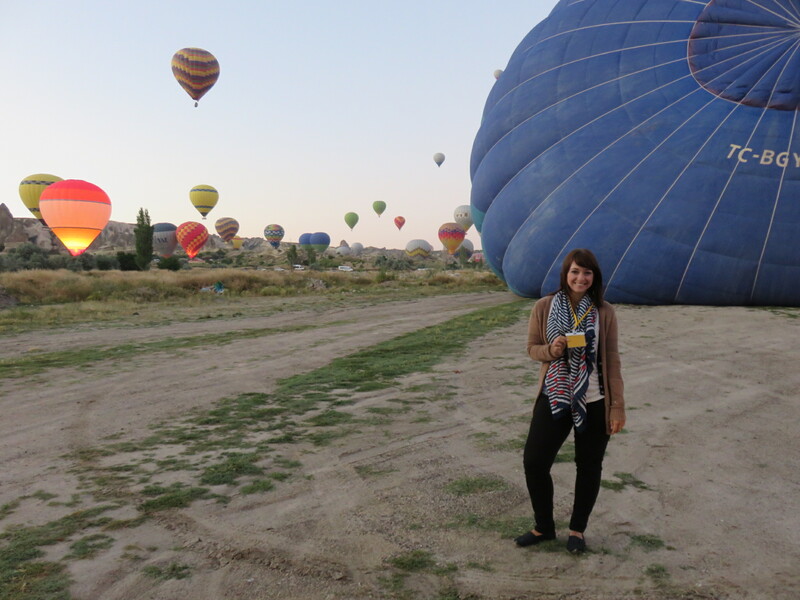 This is without a doubt the best thing that I did in Turkey. 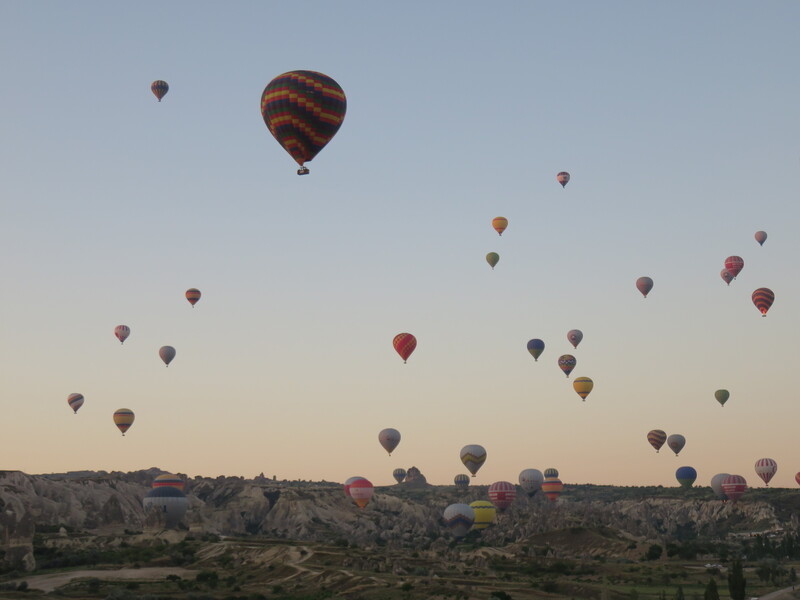 Not only was riding a hot air balloon a giant check off of my travel bucket list, but it was the reason I wanted to go to Turkey in the first place. That’s a dangerously high mark to live up to. 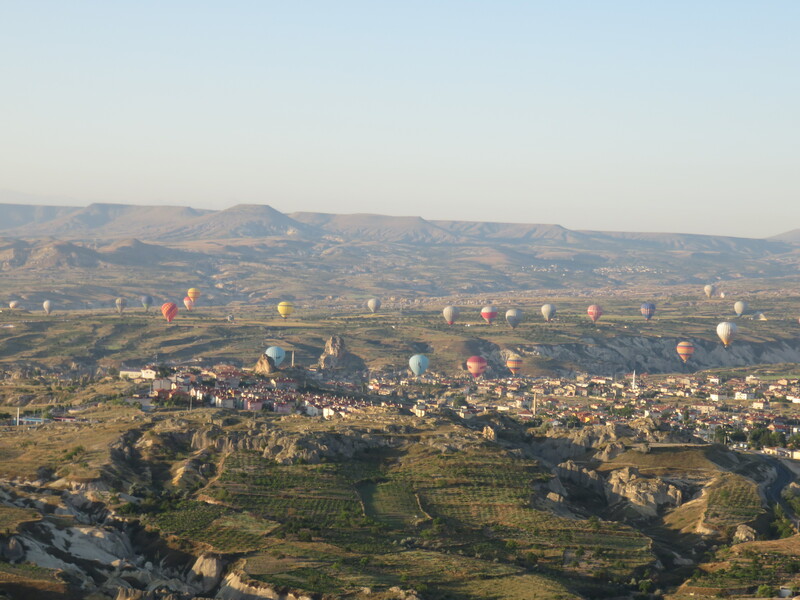 Fortunately, Cappadocia and it’s famed hot air balloons delivered one of my favourite travel moments ever! Everyone knows that things can go wrong when you’re travelling. And unfortunately, Murphy’s Law often comes into play at the most inopportune times. 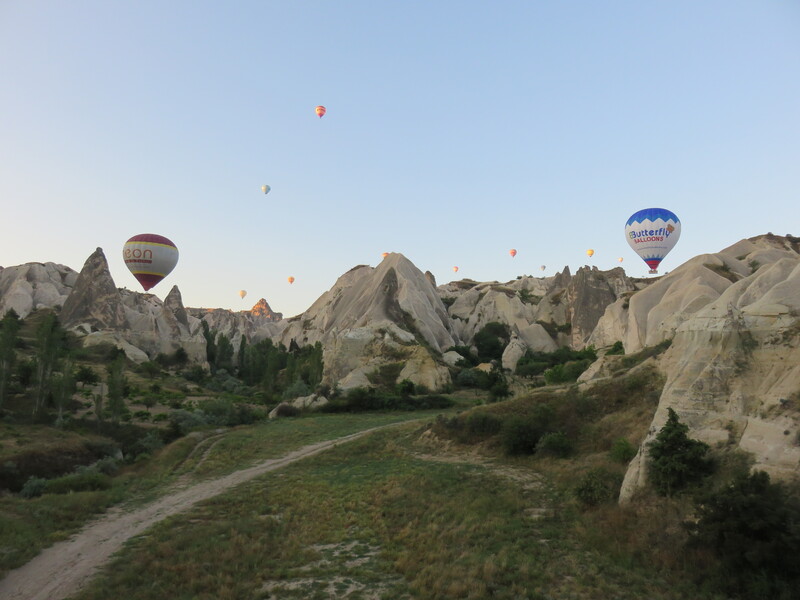 When I started organizing this trip, I wanted to leave very little to chance. 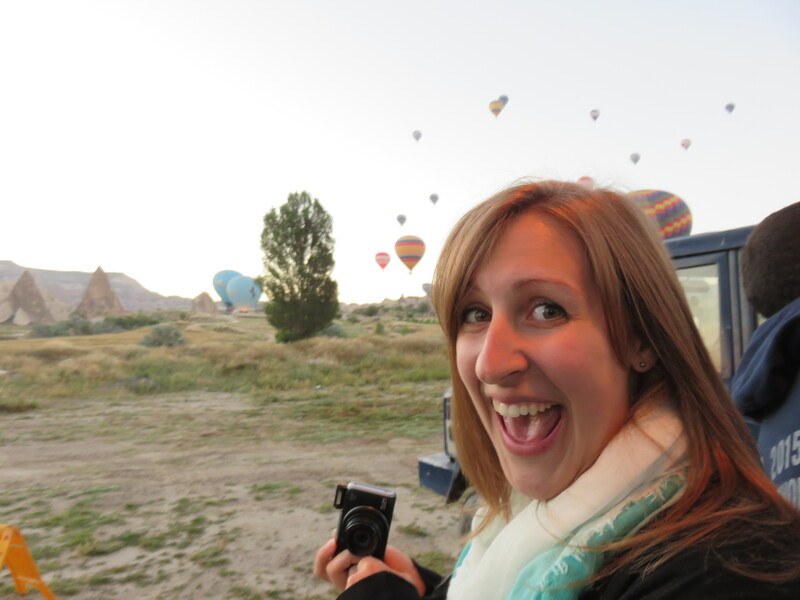 Not only did I have some newbie travellers joining me but I had some major travel dreams that needed to come true. 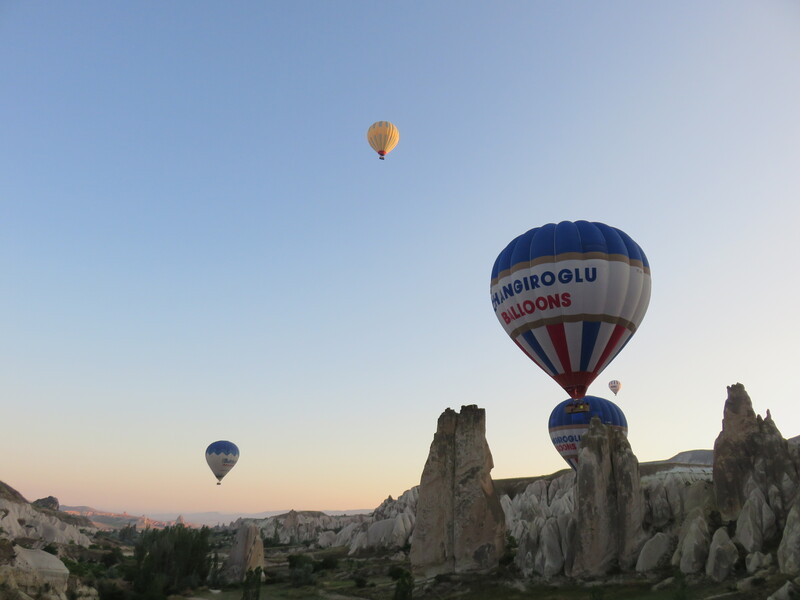 So, I used my expert planning skills to secure our flights WAY in advance with a top notch balloon company in Goreme. 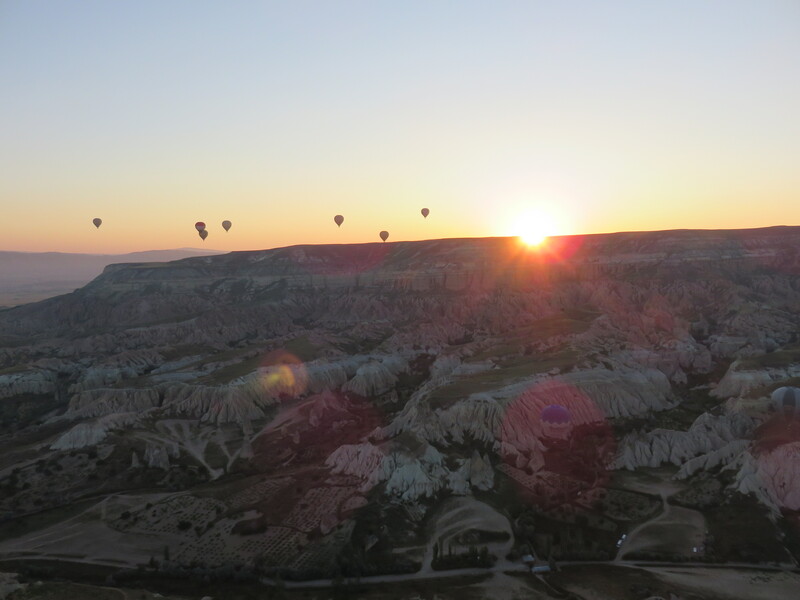 The best flying weather is from April through October when the skies are clear and the winds are light at dawn. We booked our flight smack dab in the middle on June 30th. I triple confirmed our dates with the hotel and was ready for the experience of a lifetime. But, as we got closer and closer to the designated date my weather app stalking revealed a blip in our weeks of sunshine-filled Mediterranean bliss. I started to get very nervous. What happens if they cancel our flight? 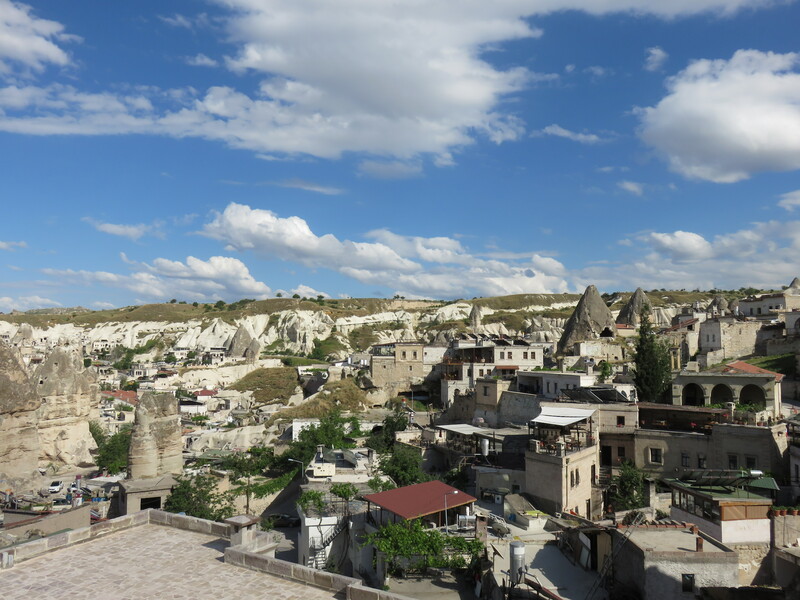 We were only spending two nights in Cappadocia and had a flight to Istanbul scheduled on our second morning. We only had one shot. On the morning of our flight we woke up before dawn for our 4:40am hotel pick up. It was at this point that my friend Mindy informed me that she had been sick all night and after taking one look at her I knew she wouldn’t be joining our group. With strict orders to stay in bed and drink lots of water, I left with Caleb & Rachel. We arrived at the balloon office to a light buffet breakfast and a waiting game. The weather forecast was not promising. After repeatedly being informed that they would decide in 20 minutes and then again in 20 minutes, we got the news. What CAN happen DID happen. 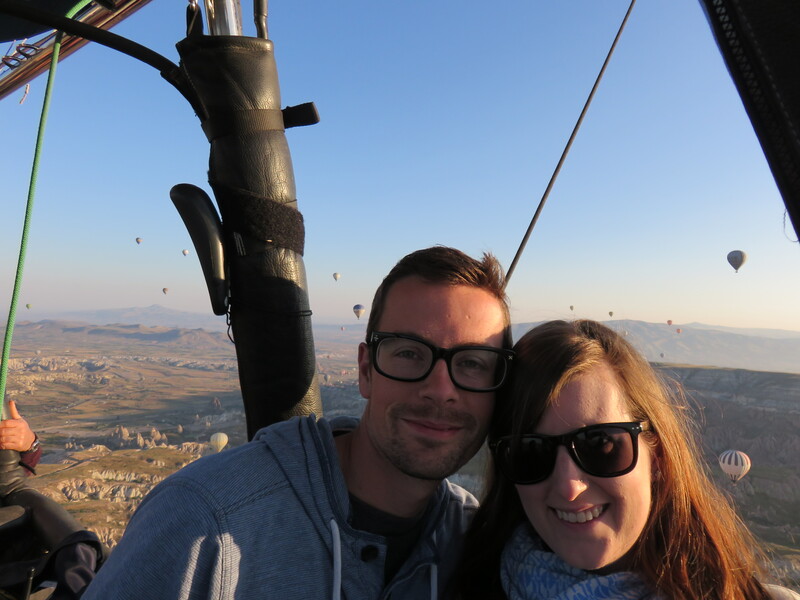 Our balloon ride was cancelled. I had mentally prepared myself for this disappointment and had already begun working on a back-up plan. 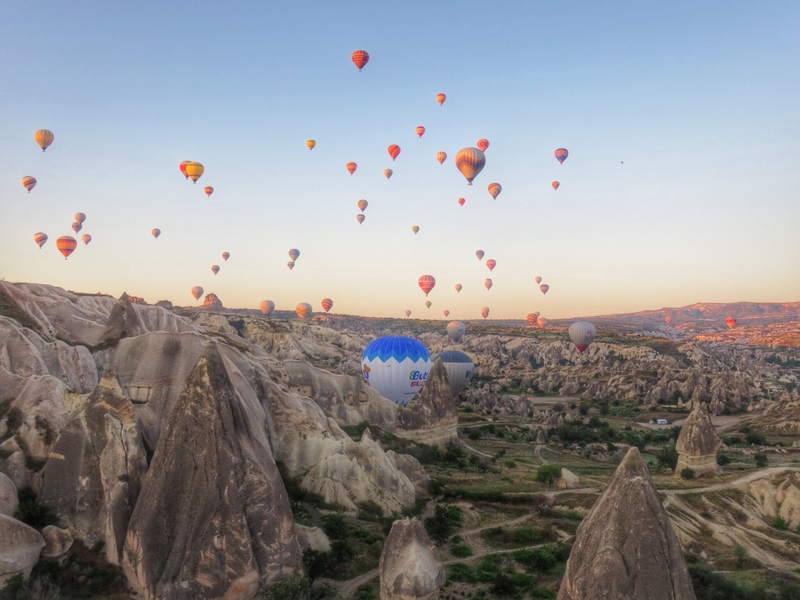 We would simply rebook for the next day and if necessary push our flight to Istanbul back a few hours – it only cost €15 anyway. What I was not prepared for was the news that they were fully booked for the next day. WHAT!!!! For those of you who know me, I’m sure you can imagine my reaction and the full scale meltdown that proceeded. Not my finest hour. Rachel and I tore back up the hill to our hotel reception and begged the night manager to help us. Keep in mind that it’s still before 6am. 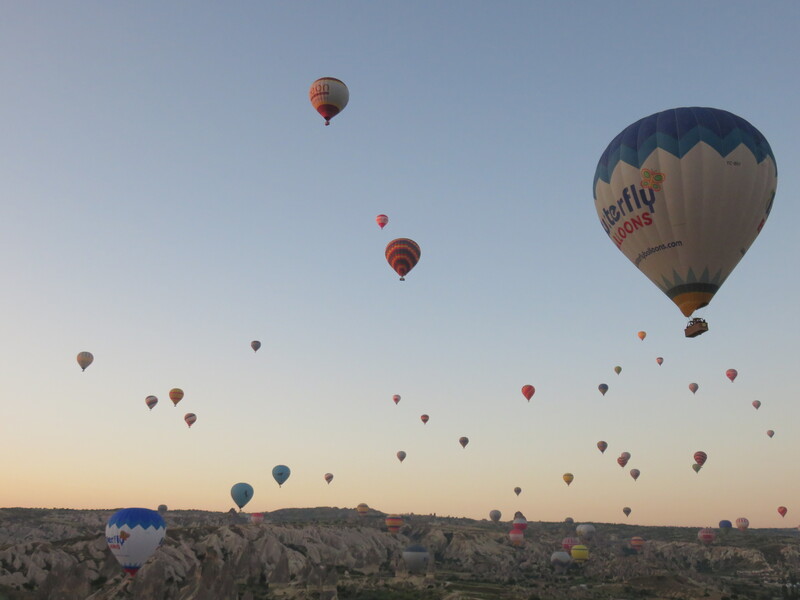 We asked if we could call the other balloon companies in town to check for other openings. 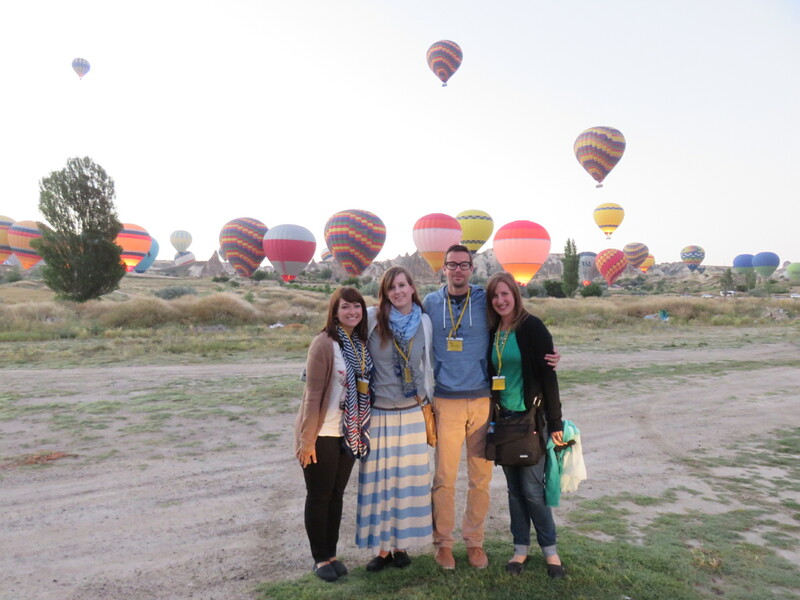 He politely informed us that reservations at all the balloon companies would be closed until 8am and that we should come back later. We all decided to go our separate ways – Rachel & Caleb to get some more sleep and me, to sulk alone on the breakfast terrace. I ended up making friends with some of the kitchen staff and had a long leisurely breakfast with bottomless coffee and apple tea – so I guess there are worse places to be disappointed. 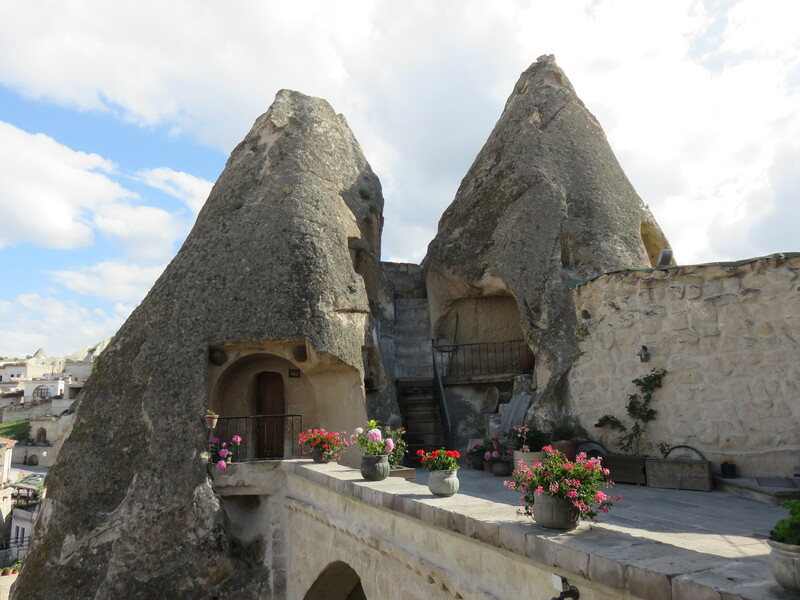 Did I mention that we stayed in a cave hotel? 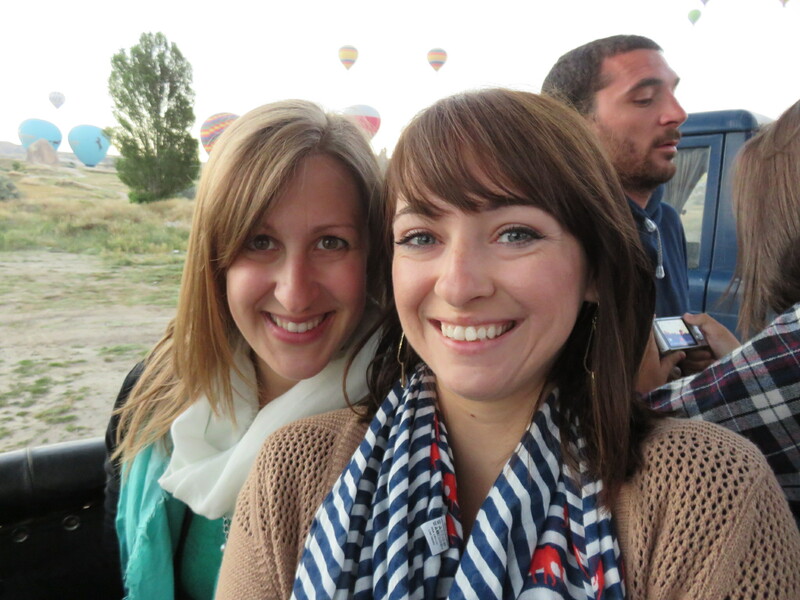 When 8am rolled around – Rachel & I were back at the reception. We hijacked the front desk and basically demanded that the receptionist call every balloon company in town, which he did. We are quite a convincing pair. Unfortunately, he got the same response from every single company. Full. At this point we had to get ready for our History and Adventure tour (more on that later) that was departing at 10am and I needed to tend to my sick room-mate. But, not to be deterred, I went back to the front desk at 9am to speak with the daytime agent. She promised to call around while we were on our tour and sounded quite optimistic. 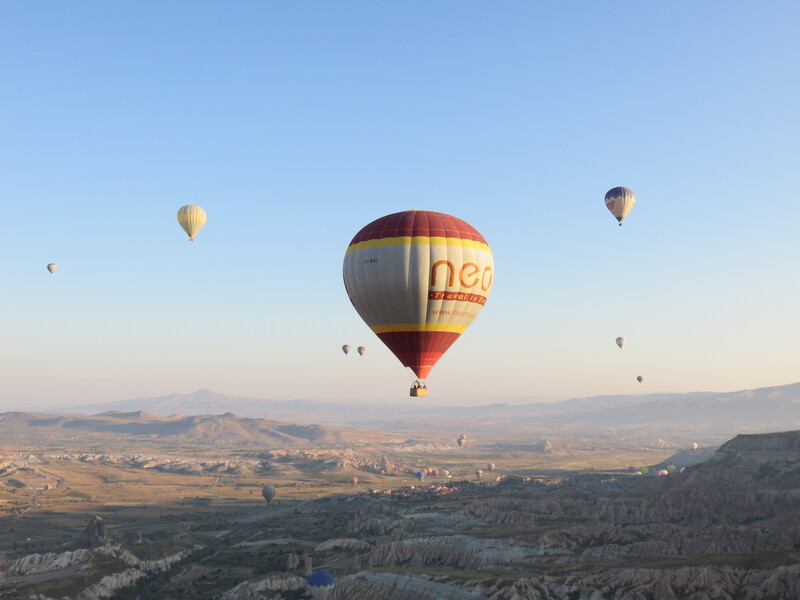 And what do you know… she came through with a confirmed booking on Deluxe Balloons and an earlier pick-up time that would allow us to still make our original flight to Istanbul! I couldn’t have been more thrilled to find out that I had to wake up before dawn yet another morning. So early on Canada Day, my travel crew with a mostly recovered Mindy, woke up to clear skies and minimal wind. We were a go! 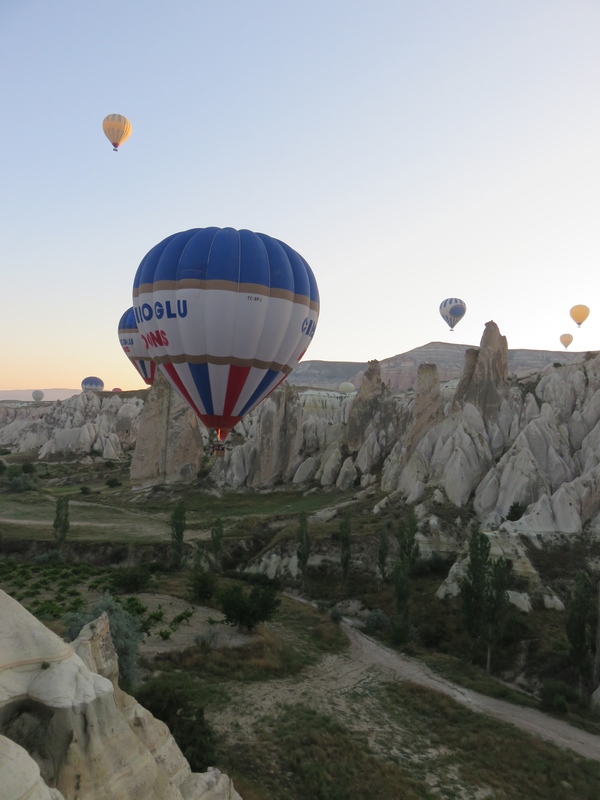 After a chilly dawn launch in our 16 passenger basket, we floated for one hour over the Cappadocian moonscape dotted with villages, vineyards, and the show-stopping Rose Valley. 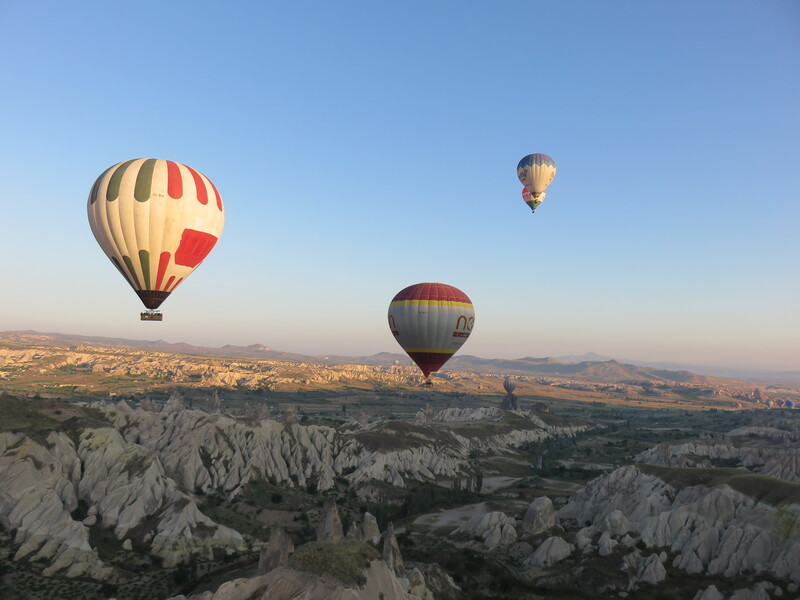 Our pilot informed us that no two flights are the same because we go wherever the wind takes us. 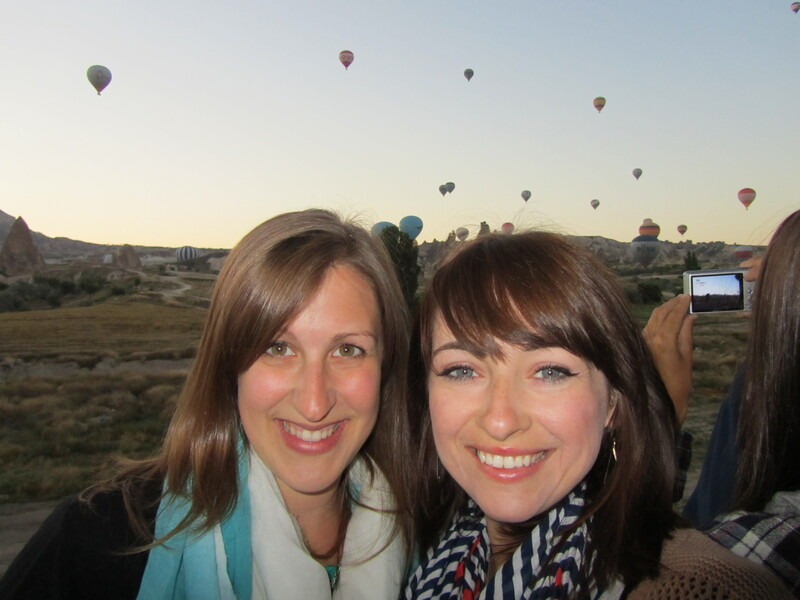 We watched the sunrise over the mountains cast the most picture-perfect lighting over the dozens of balloons that joined us in the skies. It’s crazy to think that this is an everyday occurrence here. 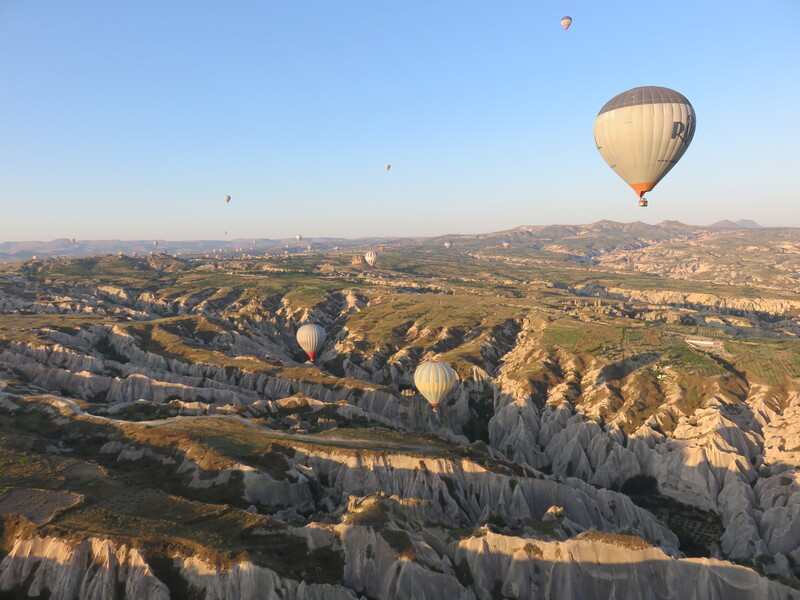 Each balloon costs roughly a million dollars and with approximately 100 balloons launched each day, we helped fund a 100 million dollar view. And we were happy to do it! After taking approximately a trillion photos and videos we proceeded to land in a nearby farmer’s field, narrowly missing some fruit trees and a vineyard. 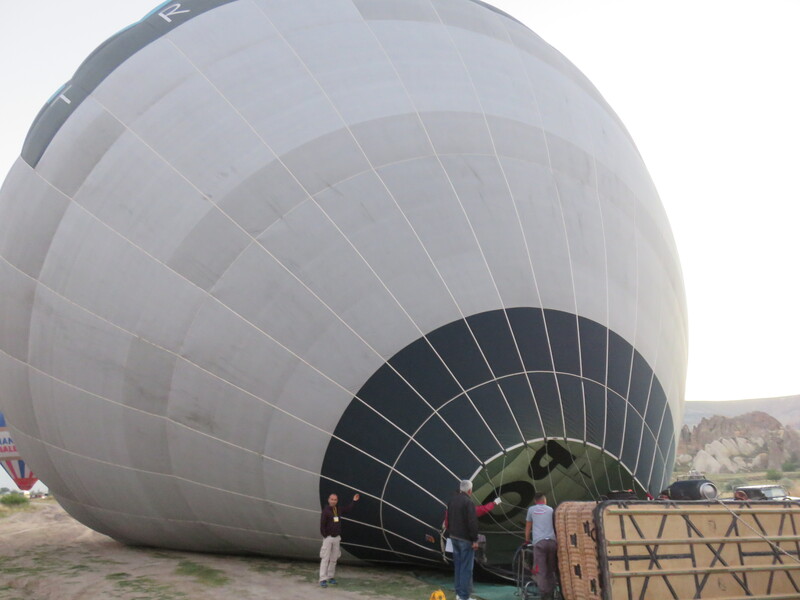 The ground team that had been chasing our balloon from below arrived within minutes to help guide the basket onto the truck and return us to our hotel. 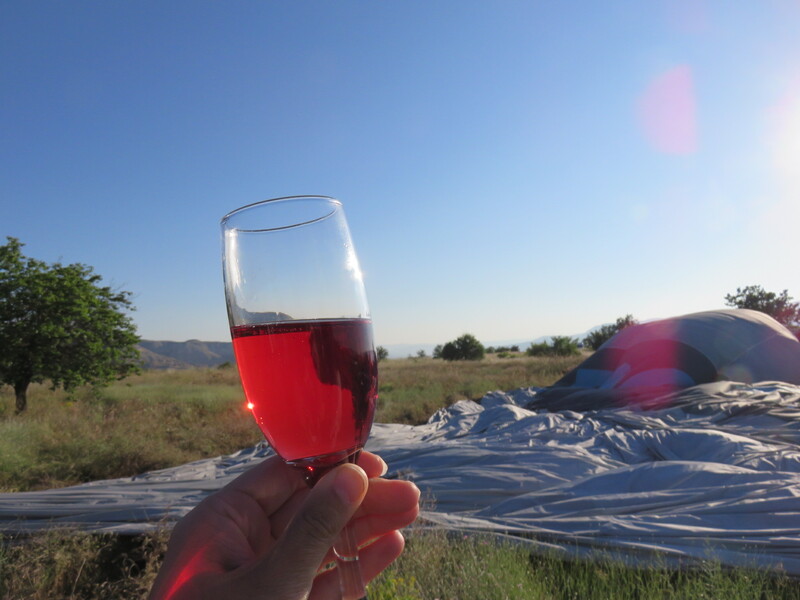 But first, some bubbly for a traditional champagne toast to a successful aeronautical adventure! 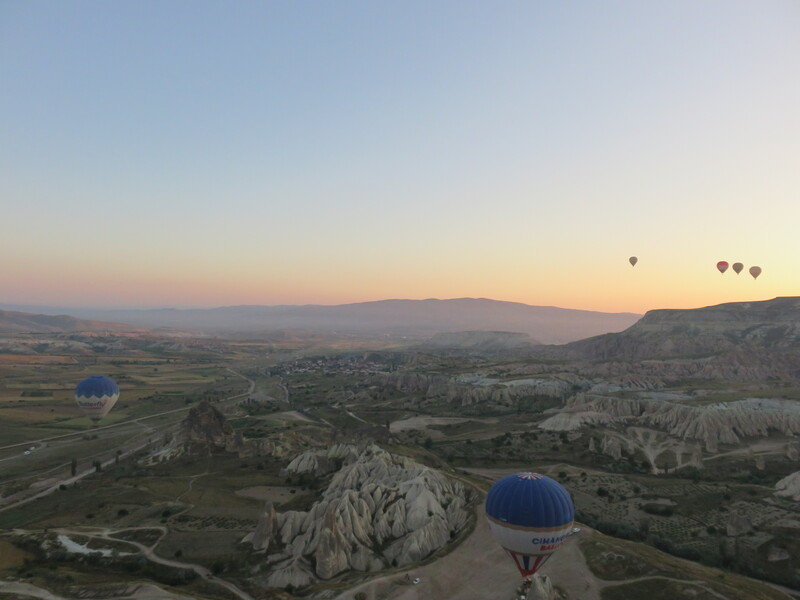 Have you ever been on a hot air balloon ride? 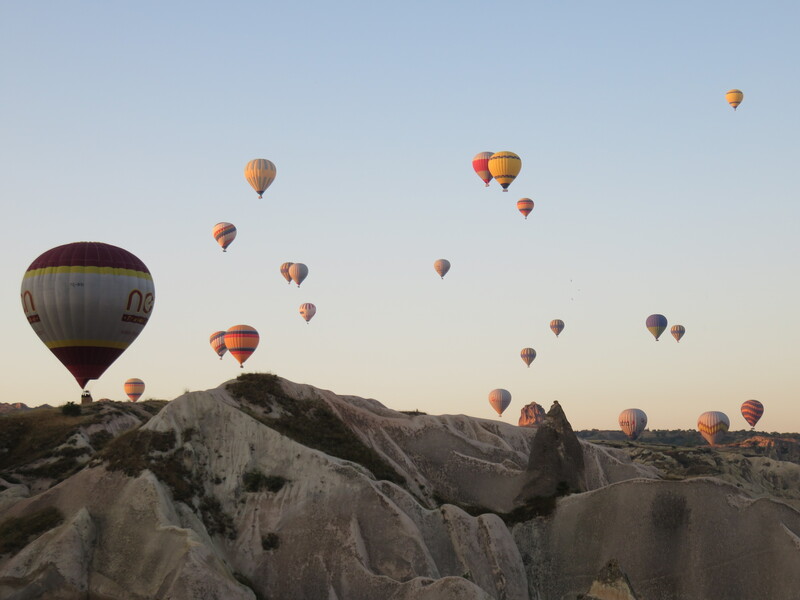 What’s on your travel bucket list? Leave a comment below. 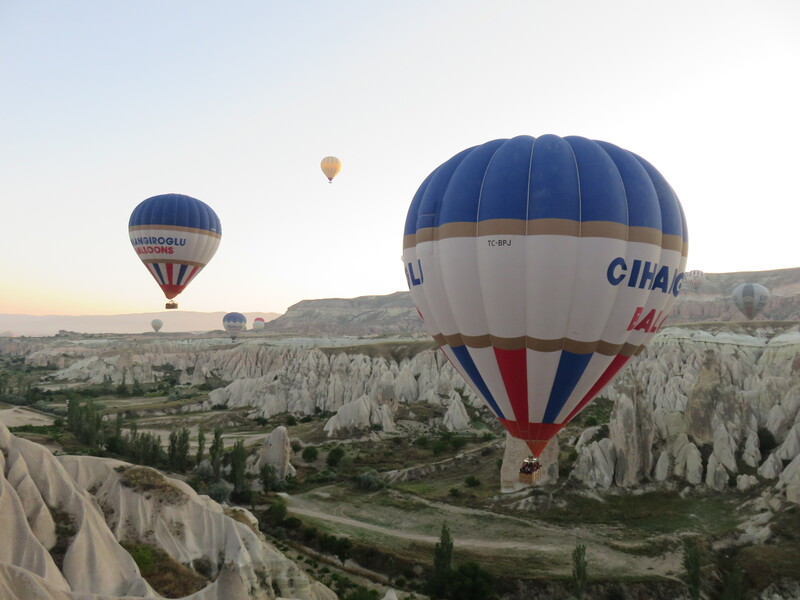 This entry was posted in Asia, Turkey and tagged Bucket list, Cappadocia, Hot Air Balloon, Sunrise, Travel, Turkey. Bookmark the permalink.